Celebrate life’s biggest moments with a stress-free magical Disney vacation! Hi! I’m Sammy- the planning, magic creating, pixie dust sprinkling force behind your perfect *no stress* Disney vacation! I have been traveling to Disney World with my family since I was a young child. I fell in love with the “happiest place on earth” right away. I love being swept away from life’s worries and truly feeling like a child again in a fairy tale. My husband and I went to Disney World for the first time together for our honeymoon. We have since traveled back almost every year! I believe Disney is the best place to celebrate life’s biggest moments! We have celebrated our honeymoon, anniversary, our Daughter’s first trip, and baby-moon (yep, I went to Disney World at 31 weeks pregnant!). 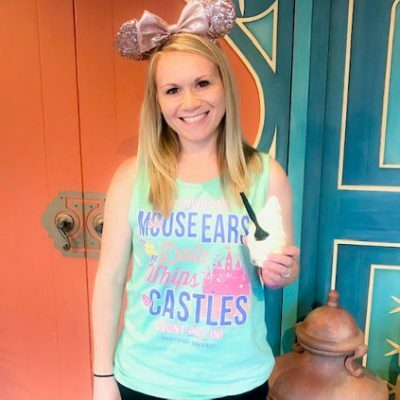 I decided to join Capture the Magic Vacations because many people I knew were asking me to help them plan their Disney vacations. I am happy to work with any budget, and I even have some tips and tricks to save money along the way. Let’s connect and talk about the perfect vacation for you that is sprinkled with tons of magical moments!